A traditional ledge and brace door for exterior use, screwed and bolted. 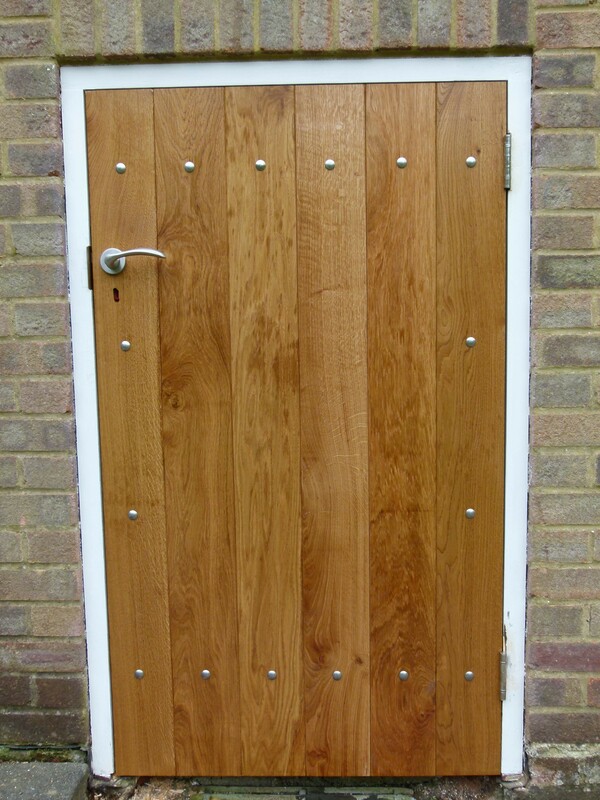 This door is a ledge and brace door with extra stiles and is constructed with screws and bolts, this makes this door perfect for external use and the ledges are integrated into the stiles, all of these features gives the door extra strength and security. The door pictured has a stain on it to match a customers specification, we can do standard oak that is no problem. 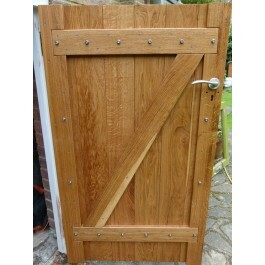 All our doors are made of solid English Oak if you select an unfinished product knots will not be filled. If you have selected a Lacquered or Oiled finish all knots will be fill and sealed. If you would prefer a clean finish (prime) free from knots or imperfections please select a prime grade from the drop down menu. 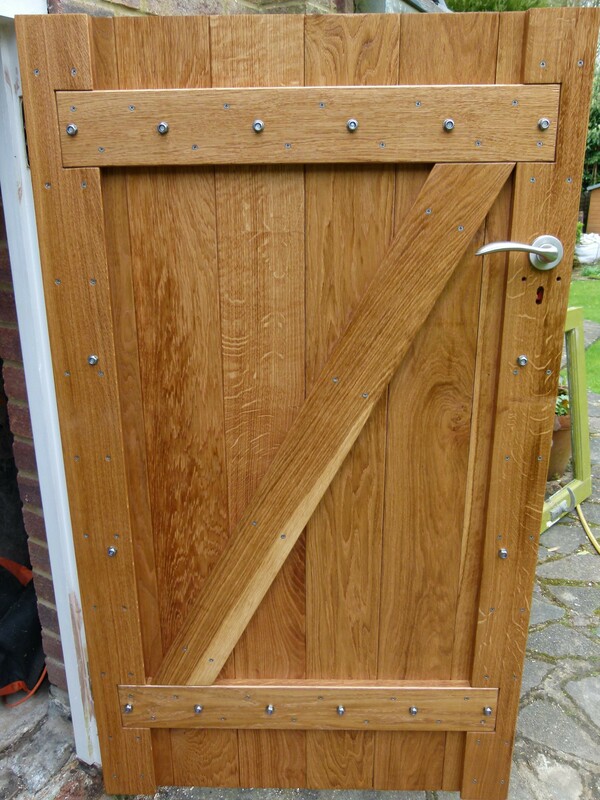 All of our doors are handmade in our factory in Lincolnshire, therefore we are able to make any custom size you require or adhere to any specifications you require. Call the office on 01205 722700 for more information or a quote and a member of our team will be happy to help.